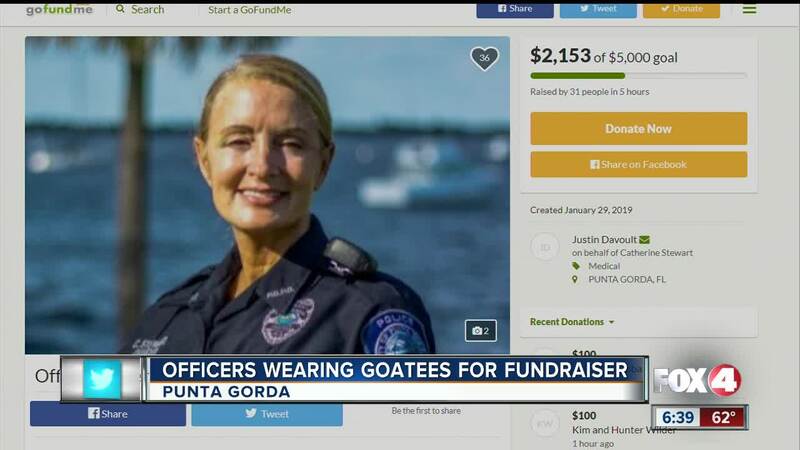 PUNTA GORDA, Fla. — You may notice some officers in Punta Gorda looking a little different. That's because they're wearing goatees as a campaign to raise money for one of their own who has a rare form of cancer. This is a GoFundMe page for officer Catherine Stewart , who was recently diagnosed with Multiple Myeloma. It's cancer that forms in a plasma cell, which helps you fight infections by making antibodies that recognize and attack germs. Officer Stewart has served the Charlotte County community for 30 years and she has two children to look after. You can find the link on the police departments Facebook page.